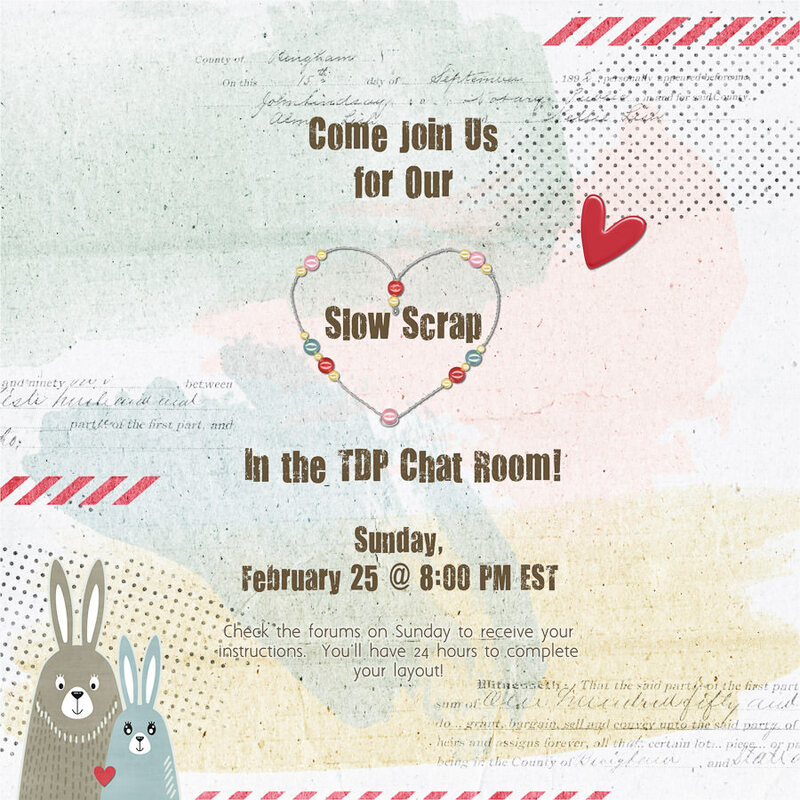 There's a SLOW SCRAP fast approaching... this coming weekend! Our lovely hostess, Robin, posted about it in the CROSSWORD SECTION of the forum -- but I thought it might be good to link up that info here in the FRONT PAGE NEWS section, as well! Mark your calendar for this Sunday 2/25 at 8:00pm ET / 5:00pm PT -- and we'll look forward to seeing you here in the forum at TDP (and also in the chat room).